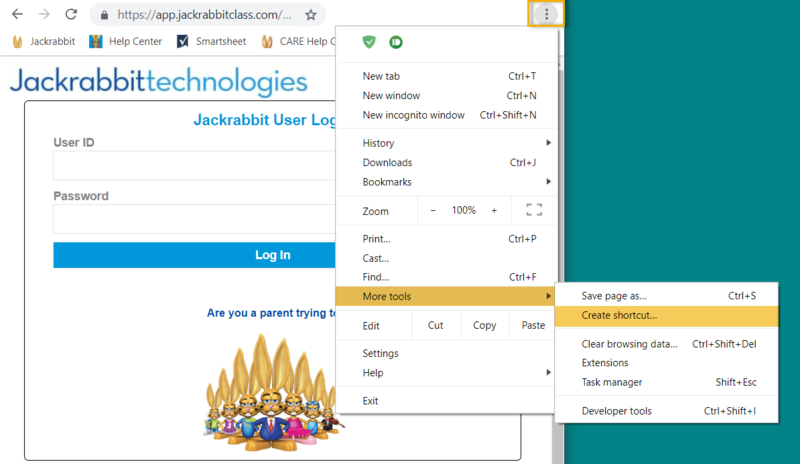 Save the Jackrabbit Login page as an icon to your desktop. The directions here are for Google's Chrome browser. Go to the three dot menu in the upper right of Chrome. Enter the name you prefer and Add. The icon for Jackrabbit is now on your computer's desktop. Double click to launch in Chrome and sign into the clock.